Shut, vol. 3, no. 7, 1907. 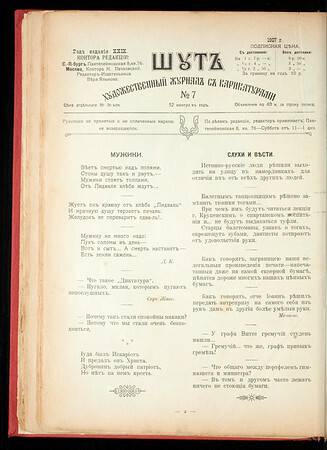 Published by Vera Yazykov. Edited by Vera Yazykov. St. Petersburg. Weekly journal of satire and humor. This issue contains poetry, prose, pictures and illustrations by artists and writers.